Buyers are drawn to the 2015 Acura MDX because of its luxurious yet sporty appearance. With a starting MSRP of $44,765 for a well-equipped base model, this is a large SUV that refuses to disappoint drivers or passengers. This vehicle offers some of the features you may love about a van, such as a lower floor for easy accessibility for the kids, without sacrificing the power and features of an SUV. The MDX has an ultra-quiet interior with a smooth ride, but it does not lack on power. In fact, the base engine is a 3.5-liter, V6 engine that has 290 horsepower. It also comes with Super-Handling AWD and improved torque and traction control. 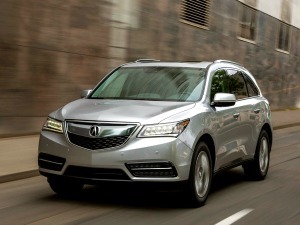 The MDX is also loaded with safety features like Forward Collision Warning, Lane Departure Warning and others. This is coupled with a second row that can slide back and forth to control leg room and a 3rd row that folds away at the push of a button. As you might expect from a luxury SUV, the interior is loaded with leather seating, an incredible sound system and an enhanced entertainment system for passengers in the back seats. It is also worth noting that it has maintained an excellent resale value over the last few years. 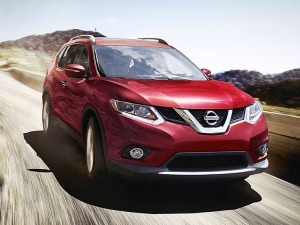 For car buyers who want to purchase a small SUV with third row seating, it may be difficult to beat all that the 2015 Nissan Rogue has to offer. With its affordable price, sleek crossover design and incredible fuel efficiency rating, this is an SUV that any consumer will want to take a closer look at before making a buying decision. The base MSRP for the Rogue is $24,490, and this year’s model has been redesigned to give you more luxury and features despite the comparatively cheap price. Some say that the third row in the Rogue may only be more suitable for kids, but there is ample leg room in the second row to accommodate adults. The second row can also slide and recline to provide some additional room for the passengers in the back. The interior of the cabin is built with quality materials and the seats are surprisingly comfortable. Reviewers point out the many available safety features including lane departure warning, forward collision alert and the AroundView cameras that will help you stay safe on the road and in parking lots. They praise the AroundView system in particular as it provides a 360 degree view of the vehicle’s surroundings which makes parking a breeze. The base model has a 2.5 liter engine, and it registers 28 mpg combined with 33 mpg on the highway, putting it at the top of its class – well ahead of the competition. The biggest complaint reviewers have is that the Rogue lacks power which isn’t surprising given its 4 cylinder engine high fuel economy. Finally, even though it is smaller than the other SUVs, it still provides ample cargo space. 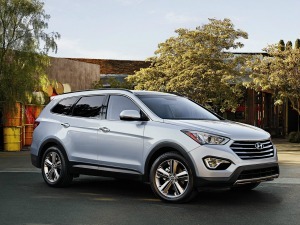 The 2015 Hyundai Santa Fe is an SUV with a moderate price and a sporty, roomy design that you may fall in love with. With a great consumer ranking, a strong warranty and unparalled class, its value is tough to beat. When you compare the cost of other midsize SUVs with the Santa Fe, you will be pleased to find out just how far you can stretch your money. With a base price of $30,150, it has a 3.3-liter, V6 engine to ensure that you get plenty of power as you cruise down the road. It has a unique look that makes it stand apart from other SUVs in its class, and it has reclining and folding seats in the rear to maximize functionality. It also features an unbeatable standard warranty (five-year/60,000-mile limited warranty and a 10-year/100,000-mile powertrain warranty), a user-friendly entertainment system and a quiet interior made from quality materials. The Highlander has received praise from consumers for years, and the 2015 model is no different. It has been redesigned for the current year and given a rugged-looking exterior that does not sacrifice luxury or comfort on the inside. It can carry up to eight passengers (available as an option), but it provides a driving experience similar to that of a Toyota car. Starting at $29,415, there are several additional trim models that you can choose from that give you great flexibility. In addition to a capable 4 cylinder engine, the base model comes with a rearview camera, 6.1 inch touchscreen infotainment system, Bluetooth and a USB port. The interior also features extra insulation to ensure a quiet ride and numerous storage spaces for small items. Most notably, the redesign has upgraded the hard plastics prevalent in previous models with premium soft-touch surfaces and fancy stitching. 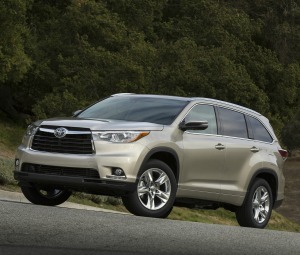 For those who want a strong engine, good gas mileage and a quiet, modern cabin, the Highlander will not disappoint. 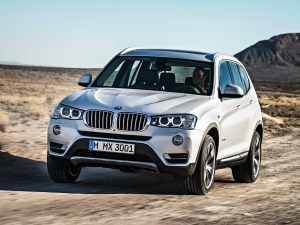 Style, grace and high-tech features combine in the 2015 BMW X5. This is a luxury SUV that may be a great option because of its powerful performance and its great re-sale value. With a base MSRP of $57,000, you won’t find another SUV with a more comfortable interior or better infotainment system. The base trim of the BMW X5 seats five, but the 3rd row is an available option that will raise the price slightly. There is ample room in the second row, but if you opt for the back of seats it’s advised to make it kids-only as legroom will be limited. The X5 is loaded with numerous safety features, like Surround View, Parking Assist, Traffic Jam Assist and others. With a V6 engine and a rugged, durable design, this is a luxury vehicle that could easily withstand off-road adventures. It boasts a tapered roof and tons of high-tech and luxurious features on the interior. The X5 may have a higher price tag, but it also has the luxury and grace that many will find are worth paying a little more for. Want more than the top 5?